If you’re familiar with Reitmeier, you might know that last year, we went through a complete visual rebrand – a new logo, new website, and an overall shift in visual identity. We’ve received enormous support and positive feedback from our partners (including a national trade publication), and it’s been such a pleasure sharing this journey with our clients and friends. One year since our transformation, we find ourselves reflecting on everything we’ve learned in the process. While a new visual identity has been exciting, our evolution didn’t start with a new logo. We took a long look at our company, and remodeled it from the inside out. We committed to focusing on our internal customers (employees) as much as the external, and rewrote what it means to be a part of the Reitmeier team. The Reitmeier rebrand extended to all corners of our operation – from job descriptions to training programs. We established a new company mission of bringing balance to your environment, which became the foundational driver of our business. We then aligned our identity with a set of core values – Build Sustainable Relationships, Create the Right Solution, Lead the Way, and Own It – which support our mission and inform every decision we make. 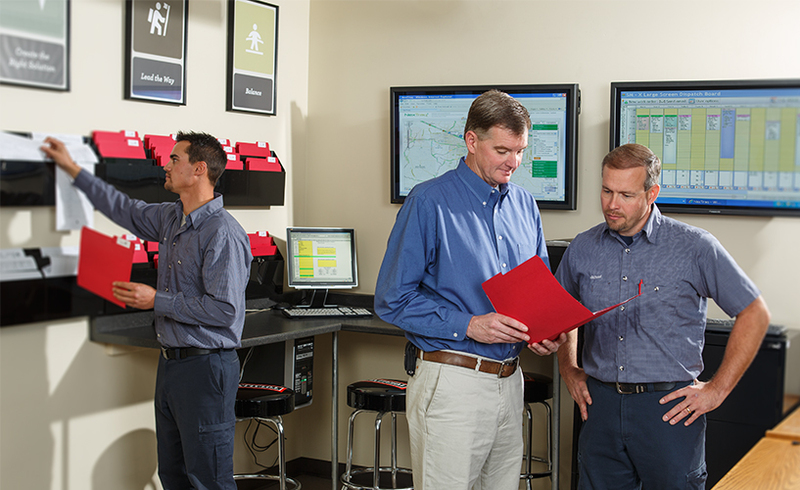 It is especially important to hold ourselves to these founding principles in the commercial HVAC industry, because Reitmeier believes in creating the right solution the very first time. Articulating our mission and values has helped us communicate this commitment to our team, partners, and clients, and to express outwardly what we’ve always known and believed internally. This shift has also helped us identify our right-fit customers, who share our values and help us achieve our company vision. To that end, we redesigned our entire website with our customers in mind – with client-specific avenues and customized HVAC solutions. We also made it easier to get in touch with us, request a quote, or visit our Service Center… all conveniently accessible online. For those unfamiliar with Reitmeier, we also added case studies to let our happy customers tell their story, and shed some light on what the Reitmeier way is all about. And of course, the incorporation of our new visual brand on all channels was another major adjustment. Our new website included refreshed design, colors and font styles, and even décor changes in our office headquarters. Our commitment to sustainable practices is reflected in our recycled-stock business cards and post-consumer letterhead – as well as our ongoing work to maintain a zero-waste stream in all aspects of our business. To tell the story of our evolution, our logo and colors were completely reimagined, to best communicate our offering and corporate mission. It represents the balance we strive to create in our clients’ environments – always maintaining a comfortable temperature, regardless of the weather. We subscribe so entirely to our new identity, that our mission and values are a living, breathing part of our internal culture. Every member of our staff, from the receptionist desk to the field, shares our vision and helps us propel our company forward. This also extends to the approach we take to recruiting and retaining talent. By making sure we fill our team with the right people and committing to their professional development, we can continue leading the way in our field and relentlessly meeting and exceeding the expectations of our clients. None of this would have been possible without the ongoing support of our partners and friends. Thank you for sharing in our journey, and we look forward to providing the same reliable, honest service you’ve come to expect from us. 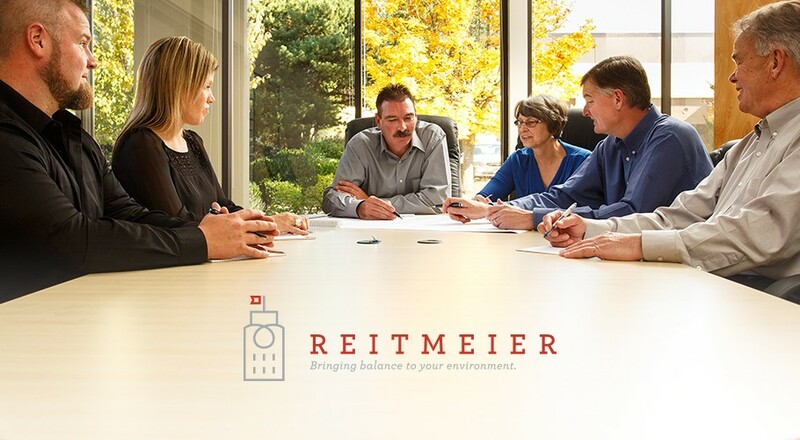 Click here to learn more about who we are, or visit our Career Center if you’re interested in joining the Reitmeier team.